In the summer of 2011, I had a brief gig with a gigantic movie database, tagging films with certain key words. Under the ‘Plot’ category was my favorite tag: “Hide the Body!” It brings to mind movies like “Very Bad Things,” “I Know What You Did Last Summer,” and “Shallow Grave,” films where someone dies under gruesome or mysterious circumstances, and the remaining characters keep the death a secret because it benefits them somehow. 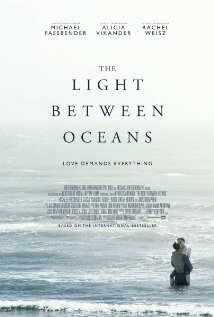 “The Light Between Oceans,” a period piece set off the western coast of Australia, is a Hide the Body movie. Gotta say, didn’t see that coming. This aspect of the plot wreaks havoc on the rest of the story, too. Try as they might to make a tasteful art film about love and betrayal – and for a few stretches, they succeed – the thriller angle of the story disrupts the tone once it comes to the forefront. There is clearly a lot going on between the ears of the main characters – grief has many layers – but very little of it is translated on screen for the viewer.